The Board of Trustees, in its responsibility for Pierce Mortuary Colleges, is committed to the fulfilment of College’s mission and strategic plan. The Board defines the vision, oversees the financial planning, develops and advances the College’s mission and goals, and determines the broad policies. 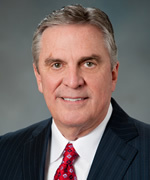 Current Chairman of Pierce Mortuary Colleges, Board of Trustees. Currently Chairman of the Board Wilbert Funeral Services, Inc. and member of that board since 1987. Current Chairman of the Board of Directors for Wilbert, Inc.(a related plastics company). Previously served as an Advisory Director at U.S. Bancorp in Kansas City and the Board of Directors of the Epilepsy Foundation of Kansas and Western Missouri. Also a Board Member of the International Memorialization Supply Association (IMSA) and serves on the Board of Regents for the National Museum of Funeral History. Suhor is a retired Captain in the United States Army Reserve. 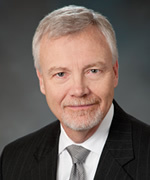 Current President of Pierce Mortuary Colleges, and member of its Board of Trustees. Current President, CEO and Board Member of Wilbert Funeral Services, Inc. (formerly COO & CFO), there since 1987. Past Board Member of Wilbert Manufacturers Association, and its past President. Member of the AICPA and Missouri Society of CPAs and served as Board Member of Harvesters Food Bank as well as other civic groups. Welzenbach is a Licensed Missouri Funeral Director. Current Member of Pierce Mortuary Colleges, Board of Trustees. Circuit Court Judge on the Jackson County Circuit Court for 12+ years until retirement August, 2013; Family Court Administrative Judge for two years; served on several Executive Boards; Chair of the Educational Policy and Trusteeship Committees; University of MO Kansas City (UMKC) Trustees, Executive Committee; chaired the UMKC Law School Strategic Planning Committee, co-chaired the Development and Trustee Scholars Committees; and CAPA Board Member. Current Chair of the Board of Trustees for Park University, Parkville, MO. Current Member of Pierce Mortuary Colleges, Board of Trustees. Current CEO and Founder of the Borden Mortuary Group, with locations in Louisville, Lexington, Kentucky, and Scottsburg, Indiana. The Borden Mortuary Group, founded by Tim in 1995, is a full service mortuary providing cremation services, mortuary supplies and embalming services for funeral homes and is Kentucky’s largest volume mortuary service. Tim Borden is a Licensed Funeral Director and Embalmer in Kentucky, Indiana and Michigan, Graduate of Mid-America College of Funeral Service and attended Indiana University. In addition, he is the current president of the Board of The Cremation Association of North America (CANA), member of the Advisory board of Mid-America College of Funeral Service and was the Past Chairman of the British Institute of Embalmers. Current Member of Pierce Mortuary Colleges, Board of Trustees. Jay Dodds is a licensed funeral director with over 33 years of experience in the funeral and cemetery profession. For the past five years, Dodds has served as founder, owner and President/COO of the Signature Group. Signature owns and operates 21 funeral homes and 10 cemeteries in 5 states. Jay Dodds received his BBA from the University of Texas in Arlington and is a graduate of the Dallas Institute of Funeral Service. Current serving as officer of the International Cemetery Cremation and Funeral Association (ICCFA) as Vice President of External Affairs, Trustee for the Funeral Service Foundation, Trustee for the ICCFA Educational Foundation and Trustee for Matthew’s Children’s Foundation. Former Executive Vice President and Chief Operating Officer of Carriage Services, a company where he served in a senior operations leadership role for 17 years and directly managing businesses in every region of the country.